Courchevel is a world class, family friendly ski resort which is known for it’s great skiing for all abilities. Some of the villages that make up the resort are absolute gems that shouldn’t be missed on your ski trip. Le Praz (1300) is a truly authentic French alpine village that consists of many traditional and beautiful wooden chalets. All of the villages that make up Courchevel are quite popular choices for the festive season and we’re not surprised! The festive period is a very magical time, especially for children. What better way to experience Christmas than in a snowy, cosy resort known for it’s Christmas markets, live music, mulled wine and exceptional food? If you need more convincing, check out our reasons to ski at Christmas article from last season. This season we’ve put together some Christmas activities and Christmas events happening in Courchevel this year, so grab your Christmas jumpers and your ski gear, they’ll be plenty of opportunities to meet Santa Claus and his friends. You might even be able to shred the slopes with a few Santas! Courchevel welcome the 9th edition of the women’s alpine ski world cup. So if you want to witness a bit of action on the slopes just before Christmas, the best female skiers are in Courchevel to entertain (and win). The women’s alpine ski world cup will take place in Courchevel 1850 for 2 days and it’s one event you won’t forget. The Emile-Allais stadium is in for a huge treat with the presence of world class female skiers and we for one cannot wait! Visit here for more information regarding start times and events over the alpine ski world cup weekend! It’s time to get you in the Christmas spirit with Courchevel’s Christmas enchanted week. With the chance to meet Santa Claus and his festive friends to spread some magic, it’s definitely an event that the children should not miss! Last year in Courchevel, we had elves dressed in red and Fanfrelette the fairy in Le Praz – this year we expect nothing less! The enchanted week offers a special time for the whole family with magnificent firework displays, live entertainment and an exceptional atmosphere. Make sure you’re on your best behaviour when you meet Santa! The Millet Ski Touring event has become a popular event in the resort over recent years. The ski touring event has attracted over 14,000 participants and is a benchmark amongst vertical race events. With Courchevel introducing the 2019 edition, the event runs every Wednesday from 26th December 2018 until 20th March 2019 where the big fancy dress finale takes place. If you’re one to constantly explore the slopes and find potential hidden gems, we suggest you put your touring skis on! 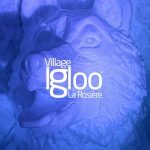 The meet up is in front of the Tourist Office in Le Praz and for more information, you can visit here and pop the date and time in your calendar ready! The ladies night tour is an Alpine ski competition which features exceptional and talented skiers from the French Ski Federation. Unlike other ski competitions, this one takes place at night so grab your insulated gloves, scarves and jackets! The purpose of the ladies night tour is to bring some excitement to the FIS circuit 3rd international level after the World Cup and European Cup! We hope you’ll be ready to dance off all the calories you’ve consumed during the festive period! Courchevel are well known for their awesome New Year celebrations with shows, music and of course, dance parties. We strongly recommend to experience one at least once during your Christmas ski holiday. The dance party is free of charge so you can end 2018 on a high and enter 2019 on one too! Enjoy the spectacular firework show at midnight with your loved ones and cheers a few mulled wines to celebrate. Christmas in Courchevel offers nothing but picturesque chalets, snow covered roofs, overly decorated streets and a rather lovely festive atmosphere that is quite hard to match anywhere else. If you’re looking to book a late Christmas holiday in Courchevel, it’s still possible! We have a range of catered chalets in Courchevel and self-catered chalet Courchevel Le Praz. Alternatively, get in touch with us and we’d love to accommodate you on your Christmas ski holiday!